We've been putting aside a little bit of money every month for dates, but since we haven't found anyone to watch the kids previous to last weekend, we never used any of it. 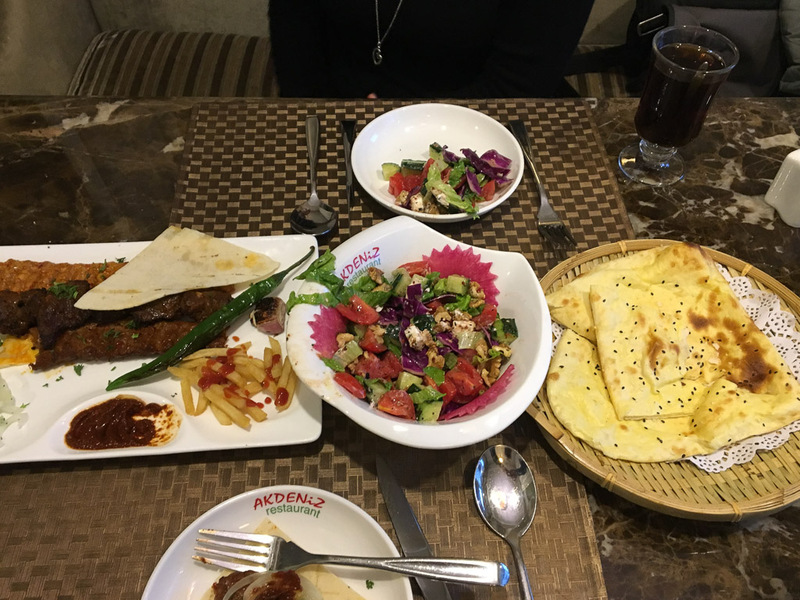 So we picked the fancy Turkish restaurant in town and had a nice dinner! The food! Reminded us a lot of Fadi's. Actually, the restaurant was better than I expected. The tea was amazing. I mean, it was just tea. But. It. Was. So. Good. 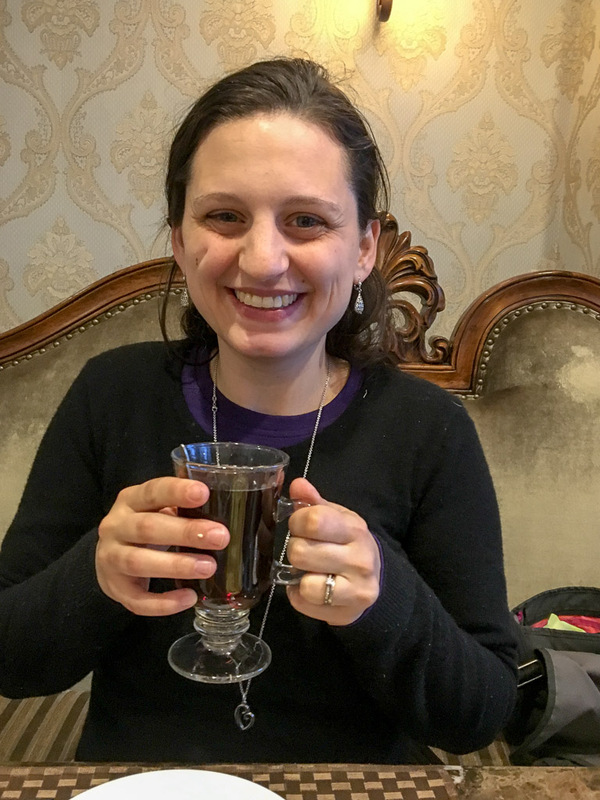 It tasted just like the tea at a Turkish place we went to a few years ago back in the States (incidentally, also an anniversary date). The hummus was a bit off and the "pita" was too crunchy and had sesame seeds on it, but the beef kebab and gyro wrap were pretty good! And my favorite was a salad with balsamic vinegar and feta cheese and walnuts. Whoa, so unlike anything else we get here! The kids had a blast with their friends, who fed them waffles and chicken wings for dinner. And H and I had a great time talking about the last year and enjoying the nice, quiet restaurant atmosphere. Having a whole table to ourselves was a bit of a shock compared to normal. Anniversary flowers. 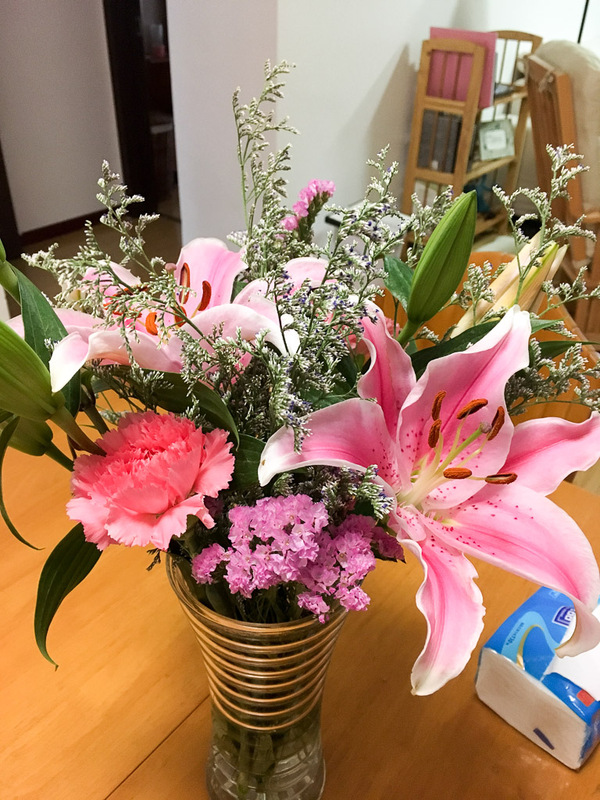 After the coal-burning stove in the flower shop malfunctioned, it felt like we were rescuing the flowers, not just buying them. You know, it's been a hard 12 months since last March, but I think overall, we've held up pretty good! Hopefully the next 12 months will be even better!